"Very prompt delivery, and good quality products.."
"Great easy service fast delivery"
"Super-speedy and efficient service - I was really impressed. It's good to be able to support (and recommend) a small(er) business like this. Responsive and rapid service and an excellent product too. Full marks from me!" "Always pleased with the quality of goods that’s why I will keep coming back. Extra pleased with the quality of service this time particularly as an item I had ordered was out of stock. I was contacted and asked if I would like to receive a part order or wait until everything could be sent together. I opted for the latter but was really pleased to have been asked. Thank you "
"Fresh smelling hand soap. Classy packaging. Arrived promptly in perfect condition. " "Great prompt service and products as always"
"Frankly excellent. Very good quality. Arrived very promptly. " "Good timing And great service "
"Beautiful quality washed well. Looked lovely on the beds when guests arrived. Very pleased. I will be ordering more." 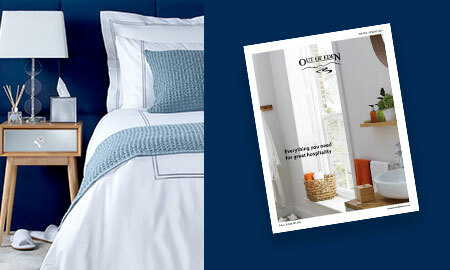 "Perfect bedding & excellent delivery"
"Easy to use website. Speedy delivery. The bedsheets have washed up a treat. Easier to iron when slightly damp. I love the three pressstuds rather than ties or buttons on the closure. It makes changing the bed so much quicker and less fiddly. " "Great service. Products smell great. My only complaint is that it’s difficult to get the pump dispenser sback into the closed position without wasting a lot of gel"
"Great service and good quality items as always thank you." "Really wish there was a seam along the top edge of the duvet covers on the 300 Thread Count Pure Cotton Micro Stripe Bed Linen, super king size. It would make ironing so much easier. " "Super quality and well packaged "
"Very pleased with speed of delivery and the quality of the goods"
"Fast and friendly service, thank you"
"Great company. Reliable and efficient and good quality products."